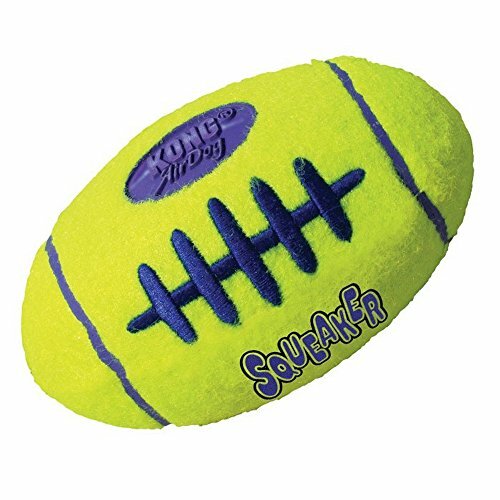 American Football shaped squeaky tennis ball toy. 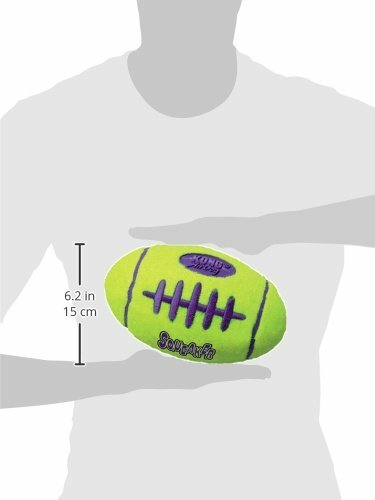 Covered with a non-abrasive outer coating which is kinder to teeth than traditional tennis ball material. 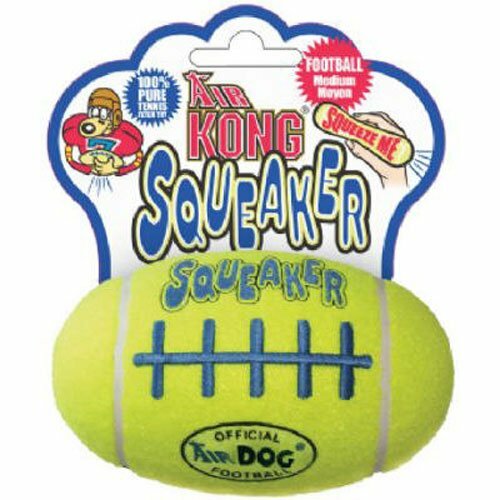 Great for retrieval practise and fun games, with erratic bounces to sharpen your dogs reflexes.